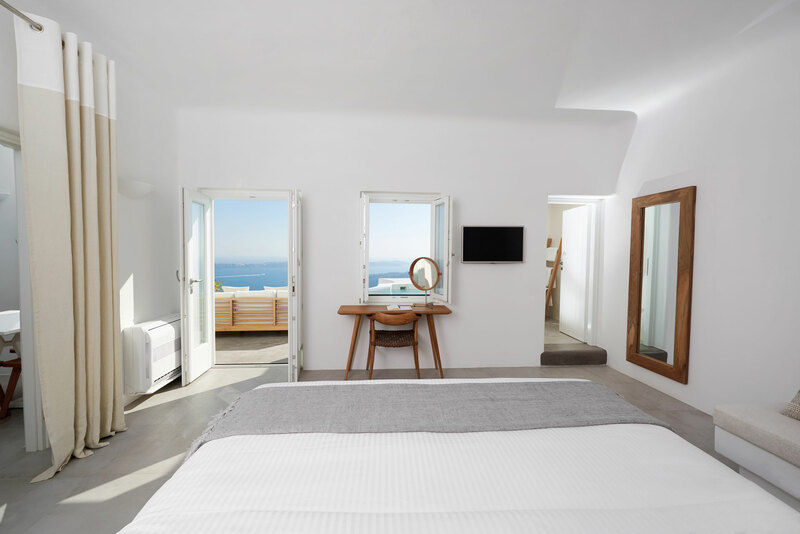 A beautifully renovated stylish home, situated in a stunning location in the cliff side village of Imerovigli. Within easy reach of all the nearby attractions & bounty of beaches. A short flight of stairs leads you to the front door and entrance hall of the residence, a convenient place to drop your bags & get into serious holiday mode. French doors and large windows allow for a natural flow between the interior of the villa and exterior courtyard. 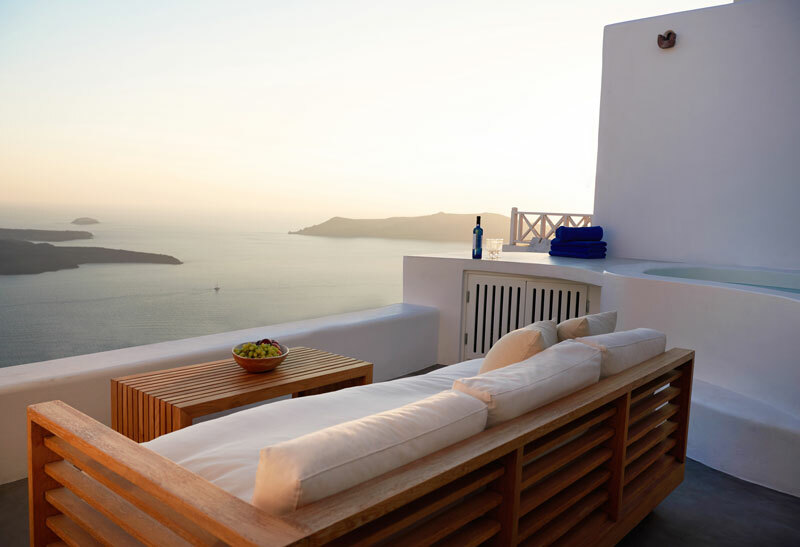 A comfortable double daybed and Jacuzzi create a tranquil area from where to enjoy the ever changing spectacle on your doorstep. You will love coming home to this cool & relaxing sanctuary after a day exploring the island. 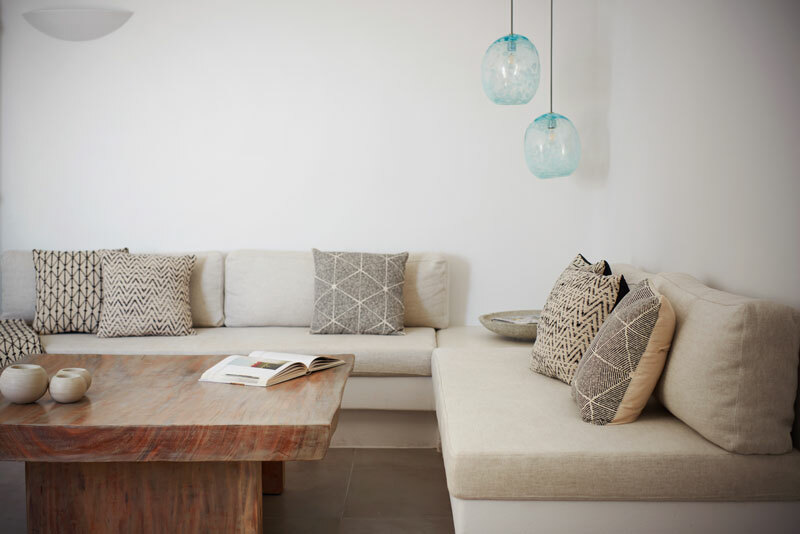 The lounge offers built bench seats with pure linen covers, which combined with textured throws and pillows make for an inviting seating area. 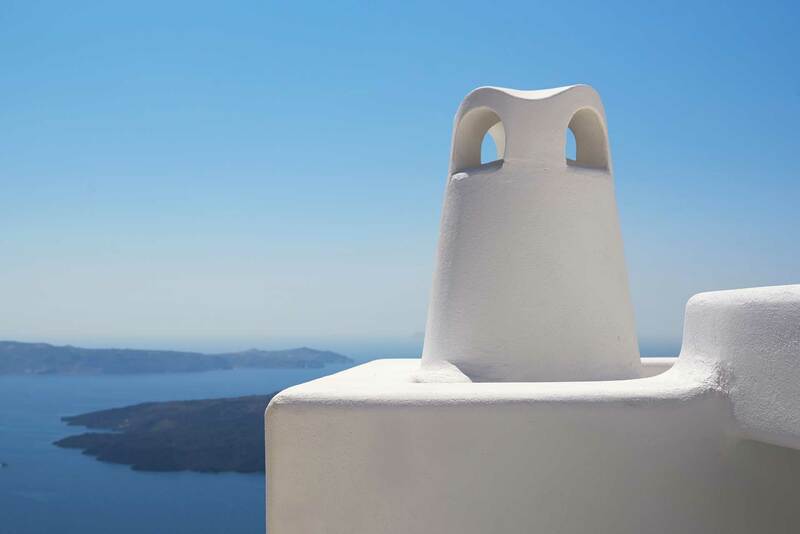 The master bedroom has a stunning view to the Caldera, the sea-filled volcanic basin. The clean cut furniture give it a casual retro feel, with flashes of beaten silver bedside lamps for visual impact. The element of surprise must be the master bedroom en-suite. 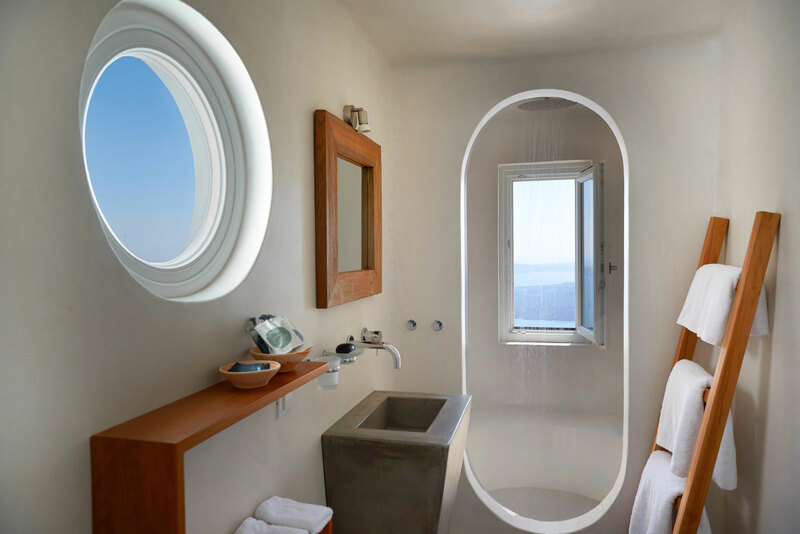 The focal point being the perfectly positioned oval shaped shower with a large window overlooking the Aegean. Taking your morning shower here is bound to add a “wow” factor to your day! 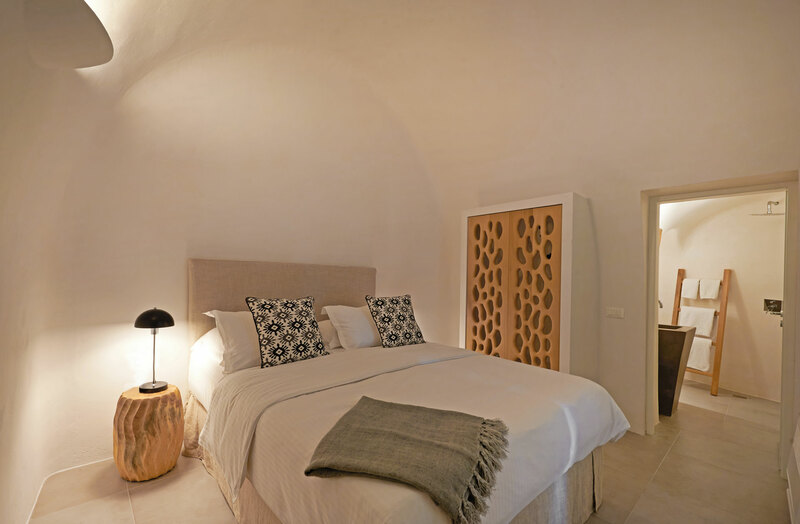 The guest bedroom is a calm retreat with a natural colour palette and the en-suite bathroom dug out of the rock face with wonderful curved walls. The kitchen is a compact affair with brightly coloured appliances which adds a pop of colour. A well positioned window above the washing up area frames the volcano perfectly. Your dining table is laid out in front of a large window in the lounge, once more boasting with a fantastic view.